FLINT, Michigan — Much of the nation sees the 2018 midterms as a referendum on the last two years of Trump. For many Michiganders, however, this election comes down to two elements: hydrogen and oxygen. From one district to the next, many residents are more focused on a recent series of water crises caused by the state's crumbling pipes and contamination than they are on the latest Trump tweet. And it’s not just the Flint water scandal: Michigan residents have come to see water infrastructure as a metaphor for broader political decay. Districts across Michigan are finding inordinately high water bills, really old pipes, and potentially dangerous water. It's gotten so bad that tens of thousands of homes in Detroit have had their water shut off at some point because residents can’t afford the unusually high water bills. The city’s public schools even had to turn off their drinking water after dozens of locations tested positive for elevated levels of lead or copper. 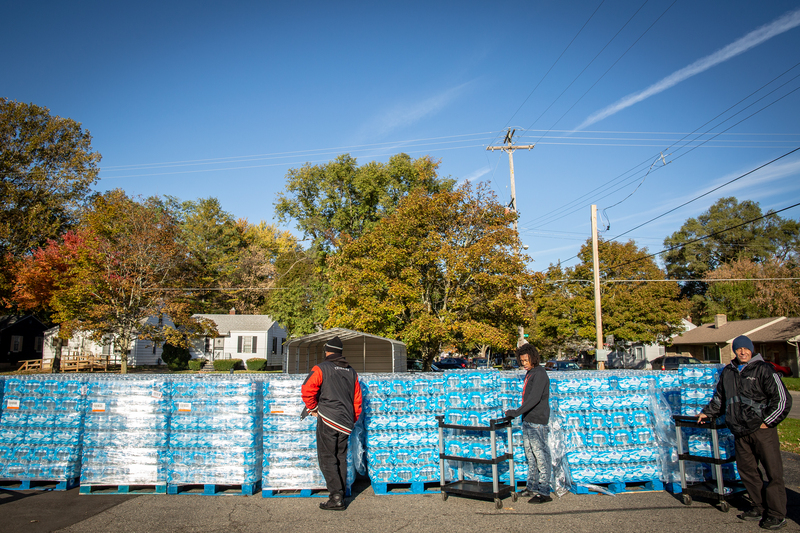 State data show that nearly a million-and-a-half Michigan residents are served municipal water containing some level of PFAS, or per- and polyfluoroalkyl substances, which are chemicals that typically come from industrial or military sites. These discoveries have infuriated people who take pride in living in a state surrounded by fresh water. The crises have motivated some residents to head to the polls for the very first time. Ariana Hawk is a Flint resident, mother of five, and former nonvoter. She's now an organizer for Color of Change and has spent the weeks leading up to November 6th canvassing potential voters every single day in Flint, Grand Rapids, Lansing, Detroit and other pockets of Michigan. It's a world away from where she was in 2016, tending to her children who became sick from local water and tuning out the Trump-Clinton race. But as the Flint crisis wore on Hawk got her political awakening. This segment originally aired October 30, 2018 on VICE News Tonight on HBO.